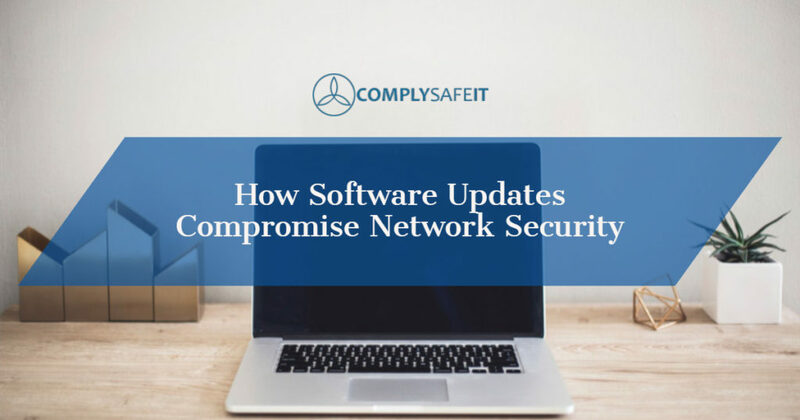 While software updates are a matter of course in business, insecure software updates can compromise network security. Cyber thieves are savvier than ever and make it their priority to stay one step ahead of the consumer and business owner. The #1 source of compromised network security is still the virus. Viruses have evolved from simple easy-to-spot pop up banners. Now your network can be invaded by a virus via download, instant messaging, USB or even social media messaging. In addition, installing updates in an insecure environment such as open wifi puts your network at risk. Only install updates in a secure network: never install software updates in an open wifi network. With the increase in remote workers, the hybrid workforce and the use of business laptops out of the office, this is an easy rule to overlook. Filter all incoming and outgoing emails for computer viruses: this should begin at the network perimeter. Email attachments should also be filtered. Common virus extensions in email attachments are .EXE and .SCR. Do routine backups of sensitive data: a good rule is to back up this sensitive data to a separate hard drive or USB in case of network intrusion. Store a secure copy off-site in case of a natural disaster that could destroy the backup (fire, flood). Perform regular company education on the topic: all email users should be kept up-to-date on email filtering policies. All should be cautious of opening not only email but any attachments or links within the email. Maintain reputable anti-virus software and install all necessary updates routinely. Depending on the size of your business, there are several options rated annually. Never run programs of unknown origin. In the hectic office environment, it can be easy to let an unknown program slip under the radar. Cyber thieves thrive on this fact. Keep ahead of them by staying aware, alert and cautious regarding what programs are running on your systems. Restrict access and permissions: computer viruses have the same permissions as the end user that is logged in to the system. For this reason, whenever possible, limit your company’s administrative permissions to reduce the risk of viruses. Have a plan in place: have a written plan for action steps in case of a virus intrusion. Ensure all parties know and are comfortable with their duties should a virus attack occur. Swift action in case of a network breach can significantly mitigate substantial damage to your business, customers, and suppliers. Detect vulnerabilities early: have a plan in place to detect software vulnerabilities soon. These types of vulnerabilities happen every day. Most often, they occur through the installation of new software or systems. Regularly review the network and systems relying on it to find those vulnerabilities, then address them quickly either by upgrading, patching or implementing firewall tools. Perform regular monitoring of logs and systems: look for out of the ordinary traffic or log patterns. These can indicate a virus. Our team of experts can assist in diagnosing and resolving hardware and software issues with today’s industry-leading brands and products. Contact us today for a free consultation. Visit us online at www.complysafeit.com or call us at 205-523-5485.